Group work. We all know the benefits. We've all seen the research. We know it's something our administrators look for. It seems like a no-brainer to add it to our lessons. The children love to talk, we think. They talk all the time! Surely they will enjoy talking about 2-digit multiplication/cause and effect/the solar system! This is a win-win! "I wonder how many diseases you would get if you lick the bottom of your shoe." "All Captain America is trying to do is help his friend. Why is that a crime?" "Do you think hot dogs are actually made out of dogs?" "Really, guys. It has to be like at least 100 diseases, right? It's THE BOTTOM OF YOUR SHOE." Now, I'm not saying these aren't valid conversational points. However, it's probably not what you want to hear when your students are supposed to be discussing character traits! This is where the Yes/No Strategy comes in handy. 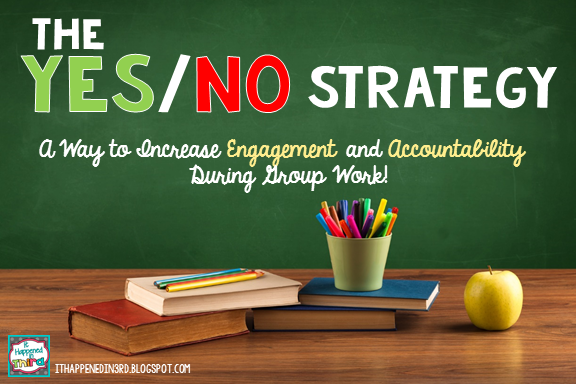 The Yes/No strategy is a fun way to keep partners and small groups on task and accountable for what they are learning. It is simple and can be used for virtually any topic, though in my experience it lends itself best to math. The idea came from an article I read a few years ago when researching best practices for math instruction (back when I taught math)! The article focused on how Japanese classrooms tend to focus on quality and not quantity when teaching math. Something that struck me in particular was how the students in a class would work on one problem at a time, only moving on when all students had solved the problem correctly. The students who had come to the correct answer were allowed to discuss strategies with their peers who were still working, but NOT tell them the answer. I loved this for three reasons. One, this approach was in such contrast to the cram-as-many-problems-that-can-fit-into-an-hour strategy that was considered "best practice" at the time. 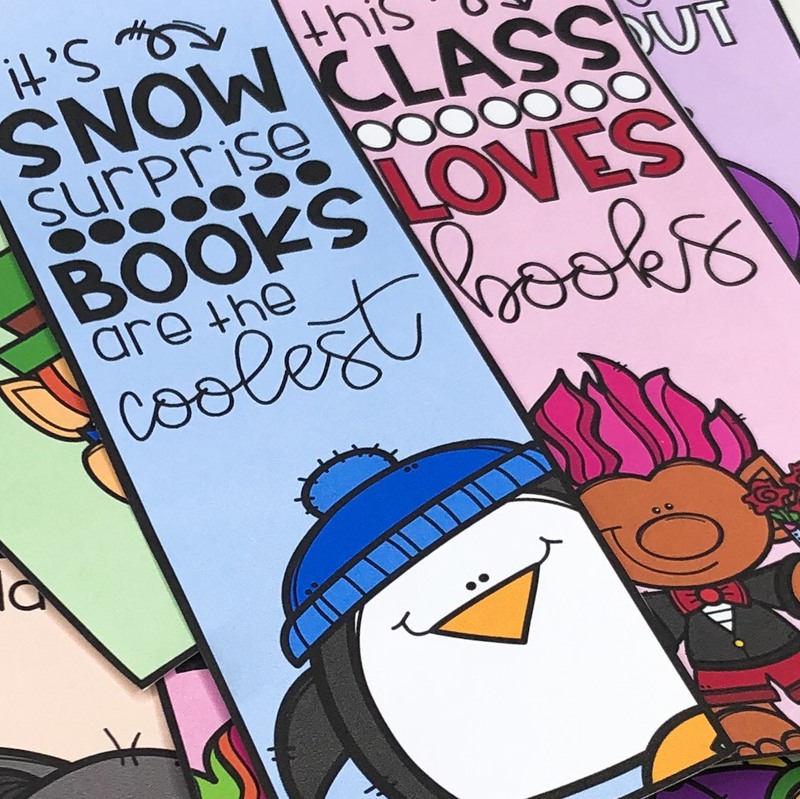 Two, what better way to foster a sense of community among your students? It's a powerful message to them to say that we are in this together, and we can't move forward until everyone is able to work out the answer. Finally, the teacher's role is minimized in this situation. All the academic talk and problem solving strategies come out of the mouths of the students. The teacher's job is basically to tell the students "Yes" (You got it, now go help someone else) or "No" (Keep working until you get it). After teaching a skill or concept, I group my students, always trying to have a mix of abilities in each group. I then assign 4 to 5 questions related to the lesson. I tell them I will only check their work when everyone in the group is finished, and everyone must have the same answer (and be able to explain why they chose it)! This way, the whole group is accountable for staying on task. Also, I let them know that I will not be assisting them in any way. They must work with their group to come up with the answers. Here's the fun part! : As you walk around to check their work, simply reply "Yes" or "No." If "Yes," either assign the group a challenge problem, or, if you think it won't be too chaotic, have them start helping other groups. If "No," the students need to work together to figure out where the error is. Obviously, the first few times you do this, you are going to hear, "Which one is wrong?" Don't tell them! By making them figure out where they went wrong, you are encouraging them to -GASP!- talk about what they learned. Instead of about what's on the bottom of their shoes. Initially, you will have some students who become frustrated when you won't tell them exactly where to look for their mistake. But after practicing this strategy a few times, they will come to love it. I always ask my groups, "Doesn't it feel better to figure it out than for me to tell you the answer?" They ALWAYS reply in the affirmative. The Yes/No Strategy. A simple way to encourage accountability and academic talk while students work in groups. Have you tried something similar before? Let me know in the comments! 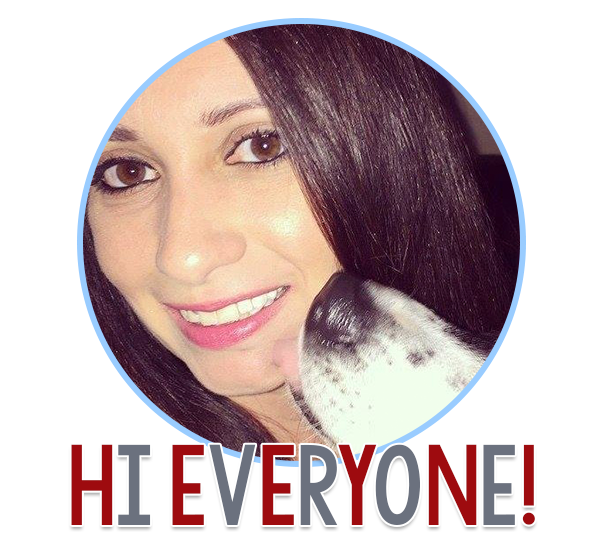 Thanks for sharing this is an awesome post!